Traditionally in Sheffield there were many 'mesters' who would buy cutlery from blanking companies that stamped out spoons and forks. Knives were made by cutlers. The patterns became known as Parish Patterns because they were available to anyone from the blanking companies in the local parish or district. 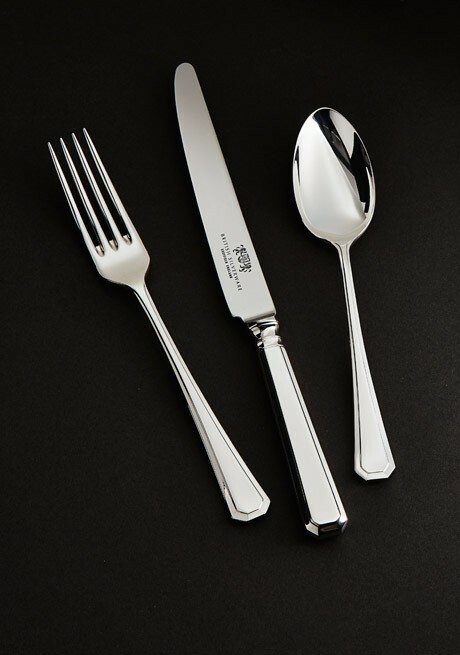 During the 1970s cutlery started to be imported from the Far East and this was in direct competition with Sheffield cutlery. The blanking companies considered how they could mass produce the Parish Patterns and defining adjustments were made to enable multi-polishing. These adjustments included making shallow bowls, reduced pattern definition and removing the settings on the end of the shanks. However, James Dixon & Sons and Robert & Belks (now members of the British Silverware family of companies) owned their own Parish Patterns. 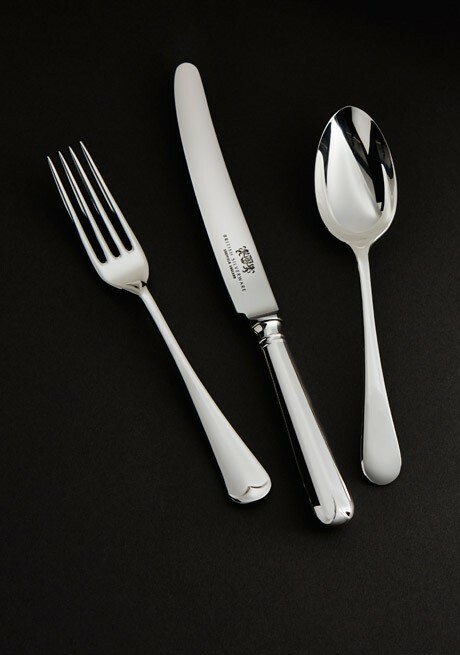 Spoons and forks were made within their companies and they did not need to 'dumb down' pattern definition to satisfy stainless steel and multi-polishing. 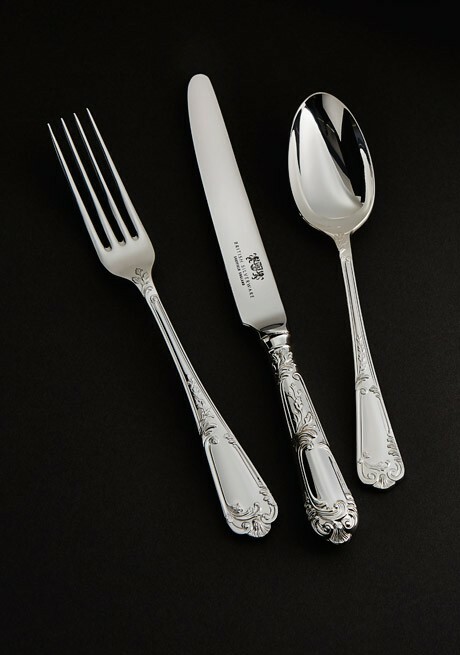 This has resulted today in British Silverware being proud to own the extensive collection of Parish Patterns that still exude the finesse of that bygone era. This is a classic English design featuring a neat design of small beads within fine borders. A derivative of the old English pattern our design is made from original hand manufactured dies. A classic English design that gets its name from the tapered ridge on the back of the spoon bowl. One of the oldest cutlery designs, Rat Tail dates back to a time when spoons were made in two halves. One of the earliest of all cutlery patterns, first appearing in the 1760's, Old English with its 'pip' retains its timeless appeal. Note the handles of James Dixons & Sons cutlery which are joined to the stainless steel blades with a silver-rich hard solder. This is a highly skilled process often now replaced by bonding handle and blade with heavy cement. This design which has its roots in France with a nod to the Napoleonic era has very distinctive rich ornamentation. This classic pattern is equally at home in both modern and traditional surroundings. Feel the balance of each piece. Proper balance is achieved on the spoons and forks by 'cross-rolling' to achieve a strong 'shank' where the handle narrows, whilst keeping the handle-end and bowl or prongs at the correct weight. Taking its name from the feather like decoration this design was a development of the Old English pattern. In a modern world it remains traditional and decorative yet uncomplicated.